The MSA-007T Nero Trainer Type is a high mobility version of the MSA-007 Nero equipped with binders on its shoulders. These binders contain propellant tanks and nuclear thermal rocket engines similar to those installed in the Nero's backpack, giving this version superb maneuverability and performance. 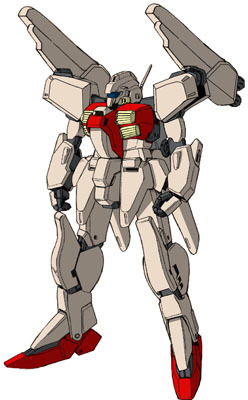 The mobile suit has smaller shoulder armor so as not to interfere with the movement of the binders, and vulcan guns are installed in its head. Its high performance makes this version an excellent aggressor machine in the hands of a skilled pilot, and it is usually employed as a trainer for combat instruction purposes.